Some see it as a signal of investor confidence in liquefied natural gas megaprojects. Others say it could edge out less competitive LNG proposals in Canada. Either way, final approval of a massive LNG project in northern British Columbia has renewed interest in the fate of two projects slated for Canada's East Coast. Bear Head LNG, a subsidiary of Australia-based Liquefied Natural Gas Ltd., has a site on the Strait of Canso while Goldboro LNG, a Pieridae Energy Canada project, is adjacent to the Maritimes & Northeast Pipeline on Nova Scotia's Eastern Shore. 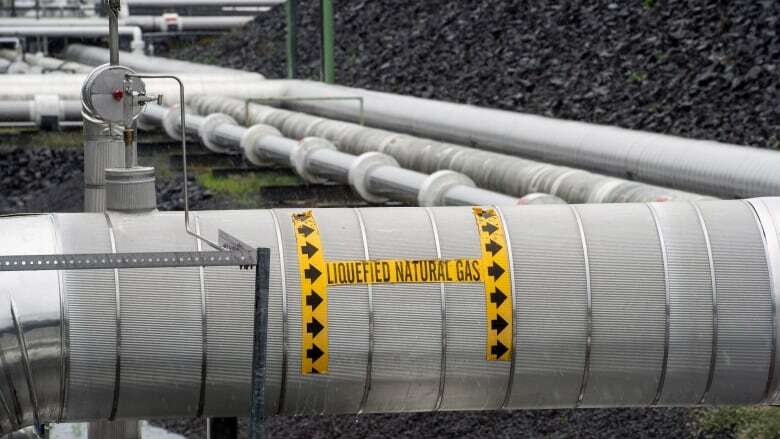 Both companies say the decision by five partners — a consortium of state-owned and private investors — to move forward with LNG Canada's $40-billion joint venture in Kitimat, B.C., bodes well for major resource projects in the country. "Every time there is a new entrant it puts competitive pressure on all the other proposals," the independent Toronto-based analyst said. Adams says the "really big boys" have invested in B.C. — Royal Dutch Shell, Mitsubishi Corp., the Malaysian-owned Petronas, PetroChina Co. and Korean Gas Corp. — but the Nova Scotia proposals have yet to attract the same calibre of investors. "The majors have by and large stayed out of it, and I think that's another indication of the relative strengths and weaknesses of the development plans," he said. "It's another reason for my continued skepticism with respect to LNG in Nova Scotia." Uniper SE, a German energy firm, has signed a 20-year offtake agreement for half of Goldboro's permitted output, a coup for the Nova Scotia project. The contract comes with a German government-backed debt guarantee. "Given the global nature of the industry, it sends a positive message to the world that Canada is back," he said in an email, noting that the Goldboro project is aiming for a final investment decision in the first quarter of 2019. Meanwhile, Micah Hirschfield with LNG Ltd., the proponent of Bear Head LNG, says the Kitimat investment increases the viability of exporting Canada's stranded natural gas resource from both the West Coast to Asia and the East Coast to Europe. "The amount of gas being used by LNG Canada barely scratches the surface of the more than 300 years of stranded gas supply that the resource has," he said in an email. "Both Western Canadian producers and European customers recognize the importance of being able to export Canadian gas from both coasts and we continue to progress and remain committed to bringing LNG from Bear Head to the global energy market." Colleen Mitchell, president of the Atlantica Centre for Energy, an energy think tank based in Saint John, said while project approval in B.C. is a positive sign, it doesn't necessarily impact the East Coast projects. "They are serving different markets, they have different economics and they're facing different challenges," she said. Mitchell said that with no foreseeable onshore or offshore supply in the Maritimes, the biggest hurdle for any Nova Scotia project would be finding pipeline capacity for gas from western Canada or the U.S. But pipeline space is committed well in advance, she said, so the project proponents will have to secure space or add an additional pipeline — one of the biggest hurdles other than permitting. Ray Ritcey, chief executive officer of the Maritimes Energy Association, said the B.C. project shows market participants — including the two companies vying to launch LNG facilities in Nova Scotia — that there may be a "light at the end of the tunnel." "For a whole variety of reasons there is a lack of investment in Canada, particularly in the oil and gas and pipeline sector," said Ritcey, whose association represents energy companies in eastern Canada. "The greatest news here is that some of our resources are going to find new ways to market. It's a really positive decision for all of Canada."